Someday, I plan to make myself some of the second type. 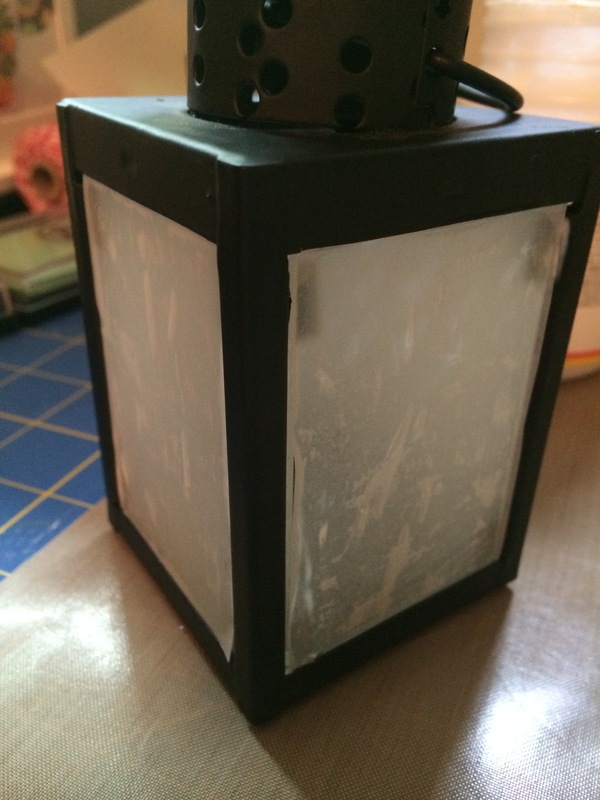 But on a tight time and money budget, I hit upon a way to make something using screamingly modern craft supplies that, at least at a glance, gives a similar impression to a lantern with parchment in lieu of glass. 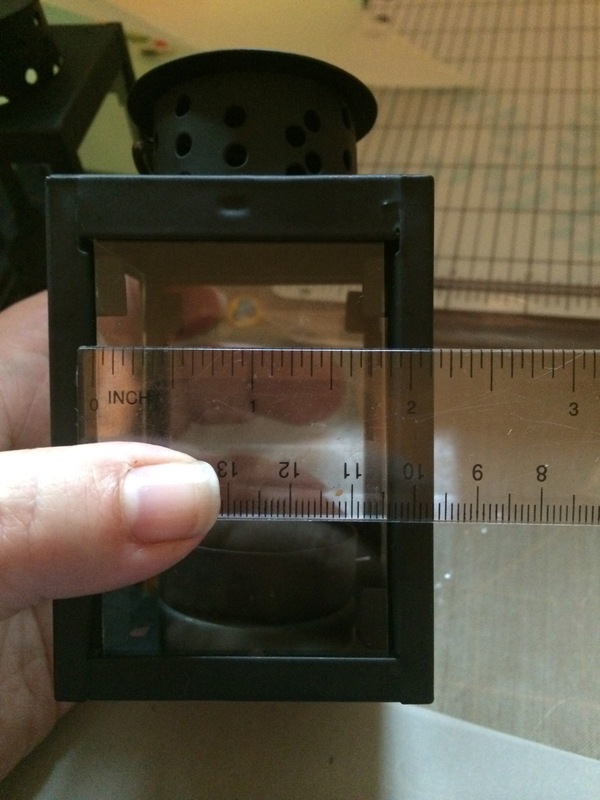 These are very simple to put together and I don’t think the project ran me more thana few dollars per lamp. You don’t need any special skills or tools. 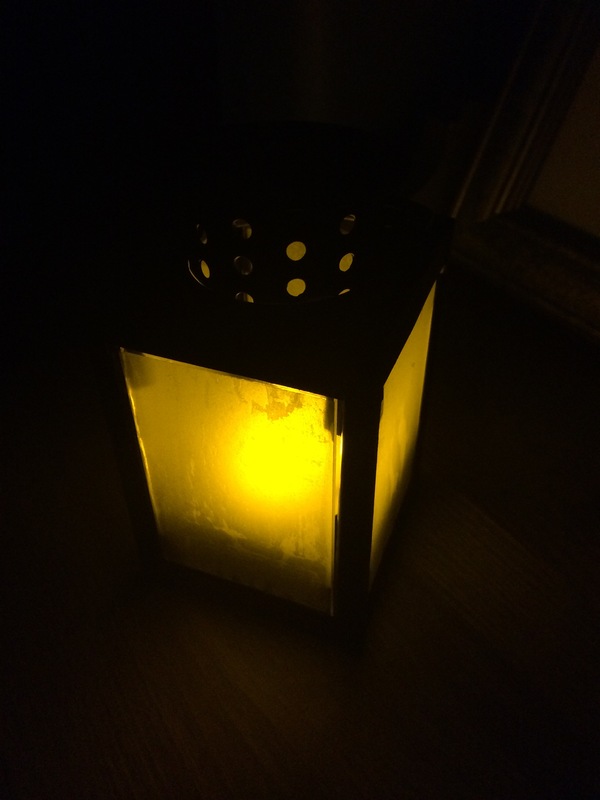 While I think a true historical lantern is a much more worthy project, I suspect this simple DIY version is more in reach for many people; if you were going to bring a battery light, try this instead. 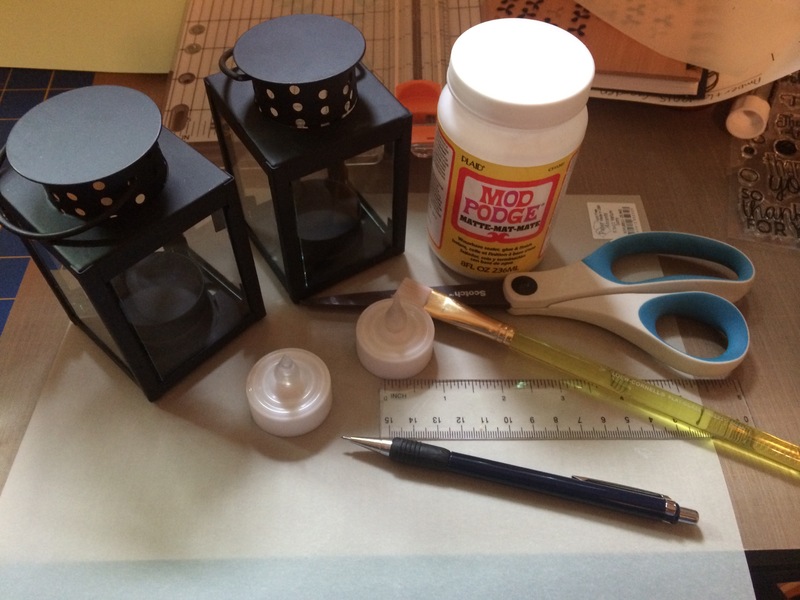 The lanterns themselves and the scrapbooking vellum came from Craft Warehouse; I’m pretty certain they actually carry everything else shown here, but I was working out of my stash. 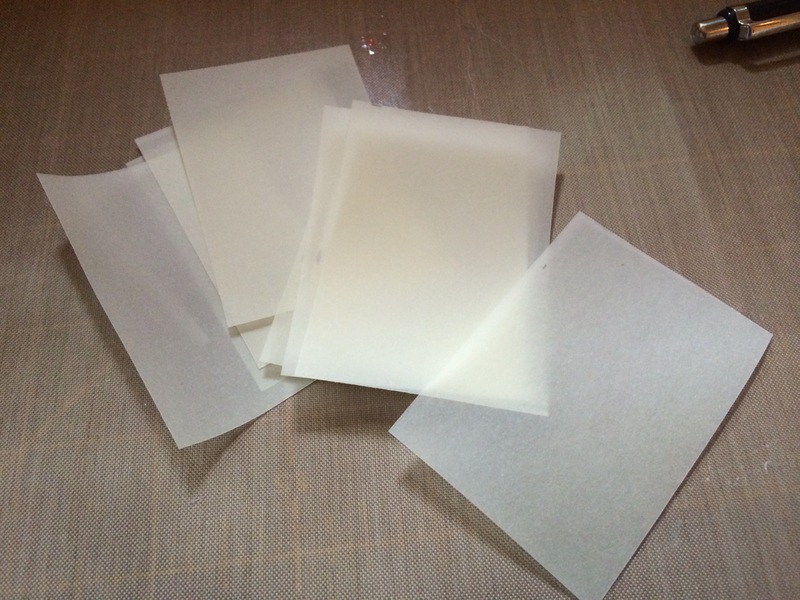 Cut out 4 pieces of vellum for each lantern (you can easily get enough for two lanterns out of one piece of vellum). 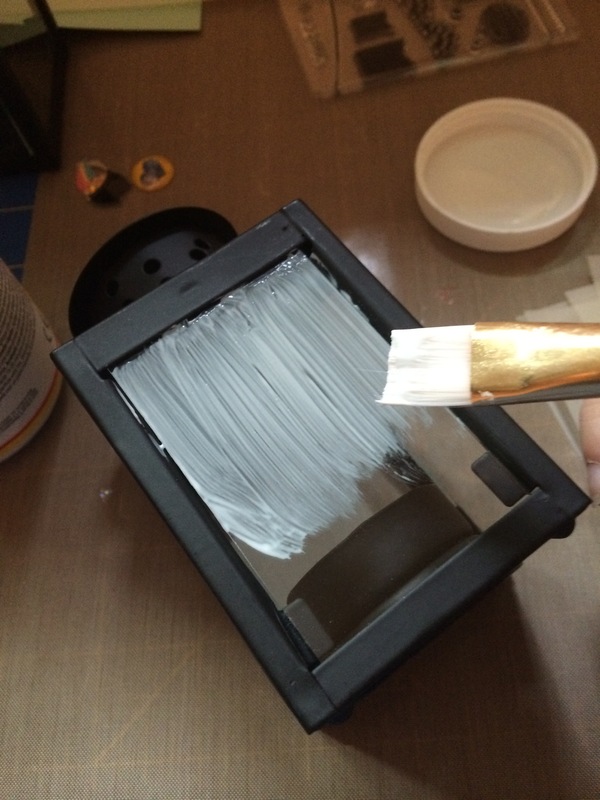 Paint glue on glass. 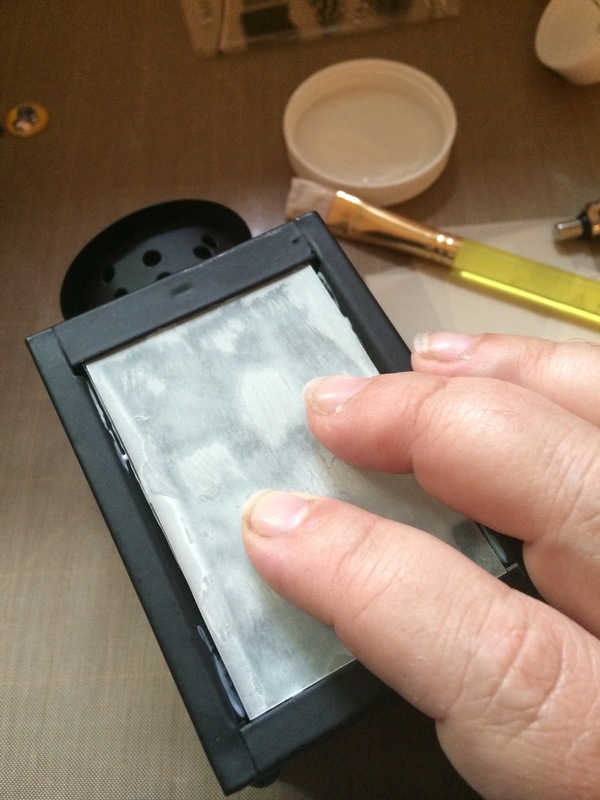 I tested several different adhesives and ModPodge was easiest to work with and lest the fewest wrinkles. 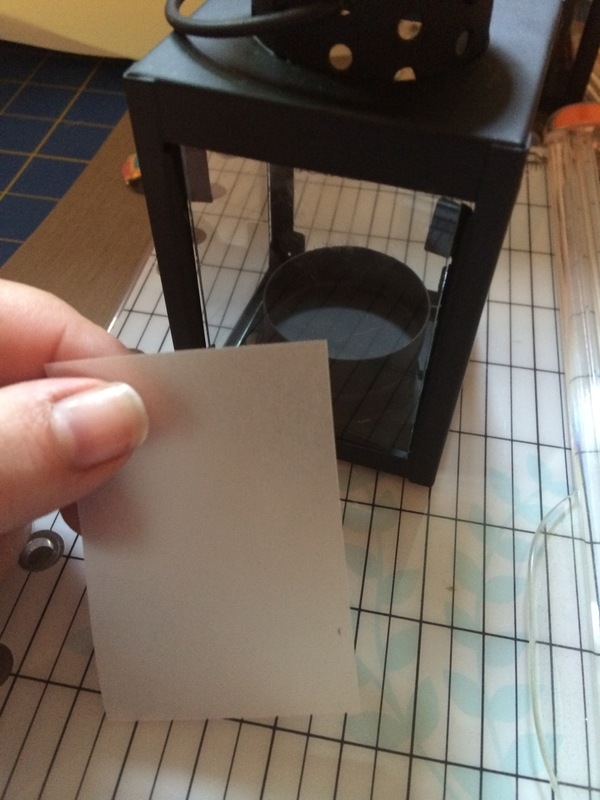 Carefully place your vellum piece and smooth it out. Repeat for each glass side. Done! Let it dry and add a tealight and you’re good to go.